Why not six outputs I hear you ask? Whilst I don't want to close off this possibility for the moment (more on this in a future post) I wanted to focus on users who wanted to have two or three distinct sounds/tones from their guitar. I felt this would offer enough versatility without compromising utility. Additionally the connectors, cabling, breakout box and switching would have tripled the price of the Submarine Pro. I'm always considering ways to make Submarine products more useful and versatile. One lesson learnt from the original Submarine is that people love to tinker! Some guitarists just love customisation. I felt that the original Submarine was not as 'Open Source' as it perhaps could have been. This was just not something I had considered at the start. The three way switch mentioned in the previous post has three positions: Channel 1 - OFF - Channel 2. I feel that better use could be made of the off position of this switch. In an ideal world it would be sent to a third output. 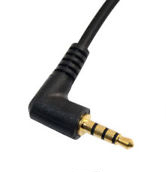 The stereo jack uses a TRS jack. This stands for Tip Ring Sleeve and corresponds to Left, Right and Ground. TRRS jacks exist but only for mini-jack connectors. You will have seen them on headphones with a microphone for use with smart phones - really not durable enough for stage use. Unfortunately it seems there is no manufacturer of 6.35mm (1/4") TRRS connectors. 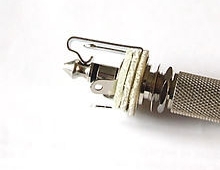 I have requested quotes for custom connectors but I'm fairly sure the tooling will make it prohibitively expensive. So in the meantime I've looking at other options for how it would be possible to offer users who require three outputs the ability to have this many. At the same time I do not want it to cost more for those who don't. Currently I have a fairly low-tech solution for what to do with the third channel. The back of the Submarine Pro will be removable. Adventurous users will be able to make a cut in part of the PCB track that will sever the connection between the middle pin of each switch and ground. A break-out solder pad will be easily accessible allowing a custom third channel to be available to those who wish for great functionality. This will require further testing as there may be earthing issues that will need to be tested for first. If this is possible it will be a nice bonus! Watch this space.